North Carolina State improved from 3-9 to 8-5 in Dave Doeren's second season as coach. 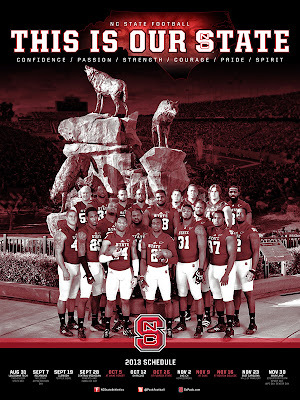 A cushy nonconference schedule should help the Wolfpack keep the momentum rolling. N.C. State plays Troy, Eastern Kentucky, Old Dominion and South Alabama in September. Dave Doeren takes over at North Carolina State, replacing Tom O'Brien, who was fired after going 40-35 in six seasons as coach. Doeren bounced around as an assistant before becoming head coach at Northern Illinois in 2011. His Huskies were 23-4 in two seasons before the Wolfpack came calling last December. 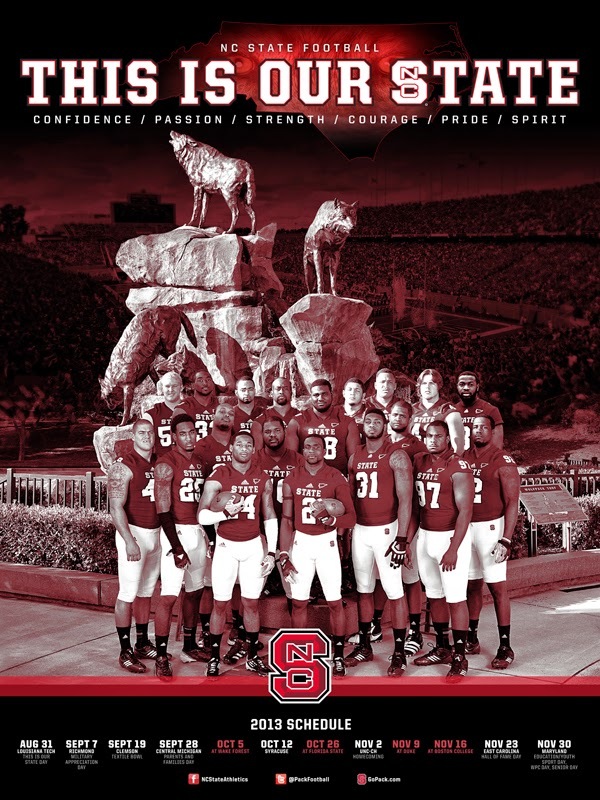 Doeren and his team catch a break with the schedule. North Carolina State plays eight home games and won't have to leave the state until an Oct. 26 game at Florida State. The only other out-of-state trip is Nov. 16 at Boston College.